for development that any person can have. Man Hee Lee, he is the door of peace and the way to peace. On 2017, September 17-18 in Korea Sensational peace festival will be held transcending nation, religion and race. It is 3rd WARP Peace Summit. This 3rd Annual WARP Summit conference is the meeting of people who transcend border, race and religion not only taking their own country's benefit but also loving world peace only. And People who has living idea about peace are gathered. This world peace is different fundamentally form dreaming of world peace. This is peace movement which is dynamic. This movement has power. People who has bigger idea will be invited transcending biased, narrow and selfish thoughts taking on behalf of their won county's benefit. 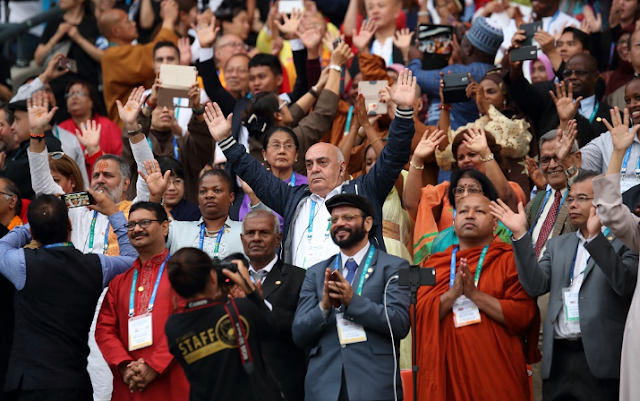 The world Alliance of Religions' Peace, WARP Summit is more than just an ordinary peace conference because it provides the opportunity for participants to cast aside their differences and break down traditional barriers in order to form new relationaships and networks with other peace messengers. Since its commencement in 2014, this annual event has laid the foundations for numerous peace movements worldwide and has proven successful in uniting the hearts of both citizens and leaders from all sectors within the international community for peace. Following the successes of the original WARP Summit in 2014 and the subsequen 1st and 2nd Annual Commemorations, this year's event is expected to attract even greater attention and achieve even more substantial results. Under the theme of establishing Collaborative Governance between state governments and civil society actors, the 3rd Annual Commemoration of the WARP Summit, which is to be held from the 17th to the 19th of September this year is Seoul, South Korea, will call on all citizens to work for the creation of sustainable peace. 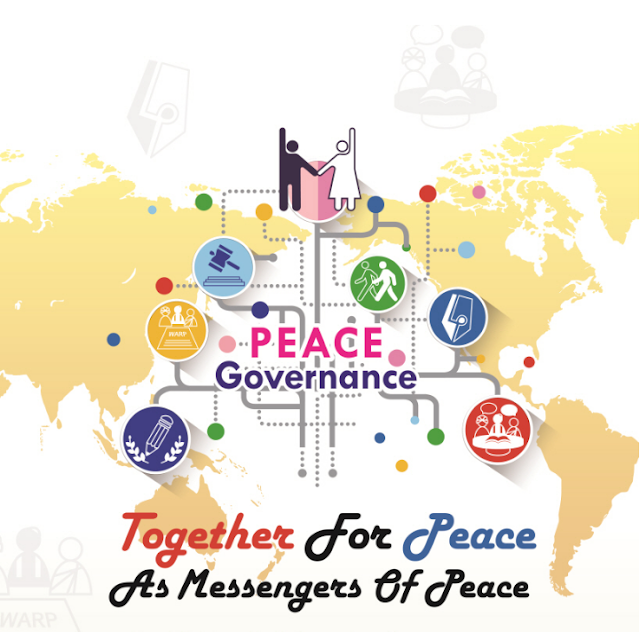 This term of "Governance" may strike some as odd in the contest of world peace, but it falls directly in line with two of the Sustainable Development Goals (SDGs) proclaimed by the United Nations and is critically important within the peacebuilding process. In today's highly interconnected society, it is impossible to establish lasting solutions to any global problems without comprehensive cooperation among those in all levels of society. This year's summit will directly charge states and civil society organizations with the duty of creating a comprehensive system of international laws and political policies as well as nongovernmental cooperation that equally encompasses all groups and individuals under a common value of peace. Each sector in society has a key role in the peacebuilding process, so rather than focusing solely on a single group, the WARP Summit will encourage cooperation among these groups through the establishment coordinated actin plans. In this manner, all the pieces will come together until the beautiful image of a world of peace can finally be seen. In order to achieve this goal, the 3rd annual Commemoration of the WARP Summit will hold individual conferences discussing the role and responsibility of each group, ranging from religious organizations to political leader to the media and beyond. this will allow time for the creation of specific and concrete action plans that are to be carried out after the event, thus directly giving all participants a responsibility to put the ideas discussed in the conferences into action. There will also be a joint conference with the central theme of the implementation of the Declaration of Peace and Cessation of War, DPCW and its development into a legally-binding document through its adoption by the United Nations. The specialized conferences are held for greater effectiveness since they allow professionals from various related fields to gather as one and discuss specific plans that are feasible within the capabilities of that societal sector. For example, this year there will be a conference regarding the creation of a global peace media network, which will be attended by media professionals from around the world who have a strong desire to spread the news of peace internationally. 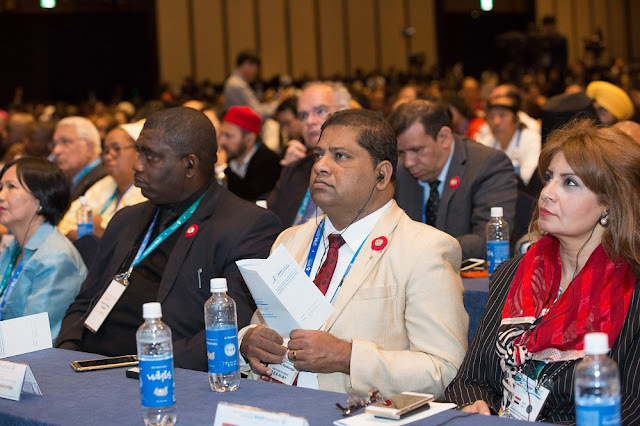 Some other conferences that many are eagerly anticipating form this year's summit include the press conference that will highlight the achievements of HWPL in the past year as well as introduce its current and future projects, the 5th HWPL International Education Development Forum for Spreading a Culture of Peace, and many others. In today's globalized world there is a complex web of interconnected states and organizations, so only a comprehensive approach to peace that addresses these relationships has the ability to succeed in establishing long-term, sustainable peace. Participants of this year's WARP Summit will be able to discuss the benefits of sincere cooperation between governments and civil society actors, and the role of this type of global peace governance in the advancement of the DPCW. All those in attendance will also be able to experience firsthand what the culture of peace, as described in the DPCW, looks and feels like in order to spread these ideas further and apply them back in their own home communities. In addition, participants will have the opportunity to hear the accounts of various speakers who are not only experts in their designated fields, but also share a sincere and passionate heart for peace that can serve as an inspiration to all. 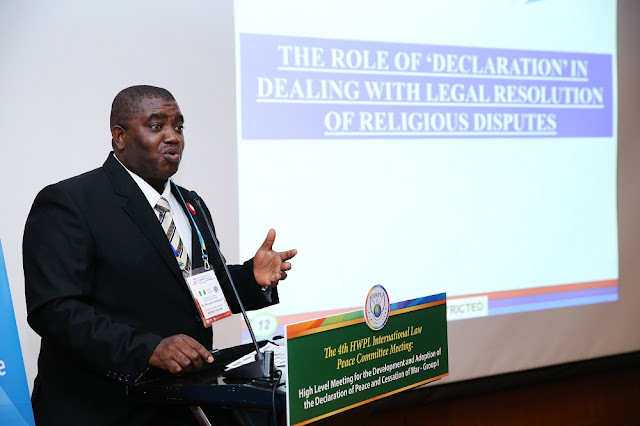 Each of these speakers has a unique story to tell regarding their personal experiences with HWPL, speakers has a unique story to tell regarding their personal experiences with HWPL, the peace work that is being done and that which will carry on into the future. So, participants will be able to connect to them on a personal level and witness firsthand the value of peace and its effect worldwide. This determination for peace, as expressed by the speakers, is a spark that will light a fire in the hearts of all participants who have a sincere desire to spread the message of peace as an international peace messenger. Expectations are high this year since it is already the 3rd Annual Commemoration of the WARP Summit and much progress has been made towards peace in the past year. This is an event that is not to be missed by anyone who has a strong desire for establishing peace as a legacy that can be passed down to future generations. "Together for peace as messengers of peace"
3rd Annual WARP Summit is coming up. 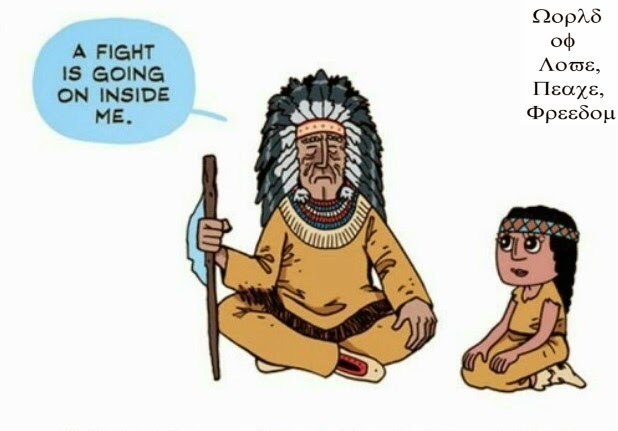 Extermination of war won't be the wish anymore. The world of peace is coming true~!! The only answer to free you from terror and nuclear weapon is in 3rd annual WARP Summit. Please, come~!! !